12 Şubat 2019 Salı 13:00 - 5 reads. It sounds a bit like the screenplay of a Hollywood Blockbuster: stolen Swedish crown jewels, an escape by boat, traces of blood in a Church, the transfer of one of the perpetrators. Now the less glamorous end of the Coup: loot the Thief showed up again - in a dustbin. 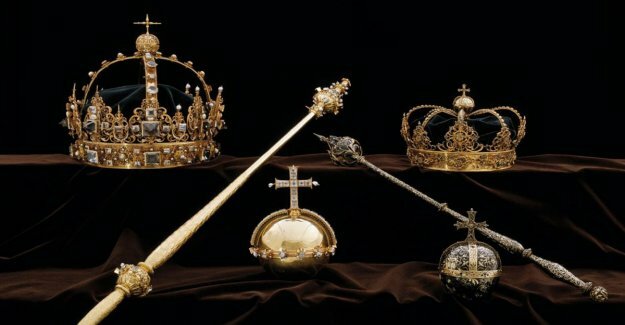 Since today it is established that it is in the found pieces of jewelry, in fact, the stolen Swedish crown jewels. With the help of the Church of the forensic Institute of the police has been able to eliminate the last doubts as to the authenticity. The condition In which the crown jewels are, in addition, the investigators did not provide any information. at the end of July 2018 had been stolen a crown and an Empire Apple in 1611, died Charles IX. of Sweden, as well as the crown of his 1625 deceased wife Christine of Holstein-Gottorp, from the Cathedral of Strängnäs. There, about 60 kilometres from Stockholm, were kept monarch of the pieces in the tomb of the monarch. The perpetrators fled by boat, the value of the loot is estimated at 6.2 million euros. Immediately after the robbery, the police speculated, however, that the pieces were quite difficult to sell. In September, a 22-year-old Swede. Traces of blood in the Cathedral brought the police on the trail of the alleged offender. Against him a process has been running since the end of January. This is because of the discovery until the 15th. February has been interrupted. Last week was arrested a second suspect on suspicion of receiving stolen property. Last Saturday there was a third arrest. The Suspect is said to have stolen the jewels, together with the 22-year-old defendants from the crypt.